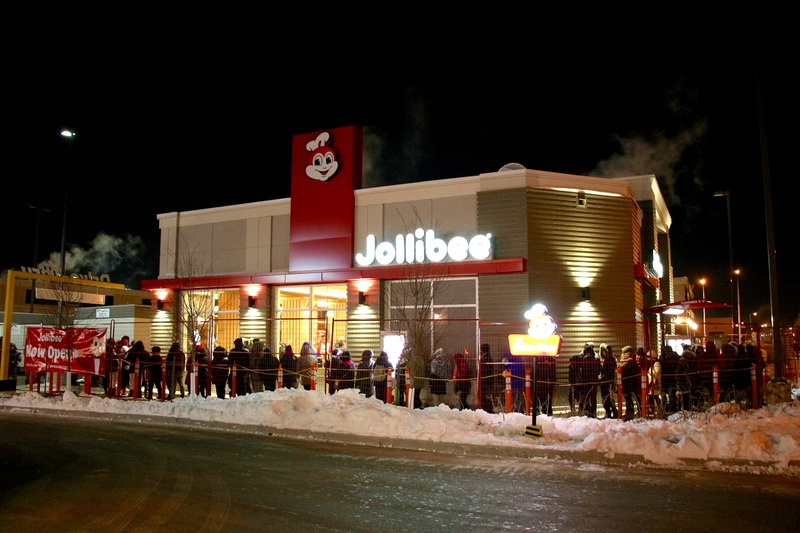 Jollibee opened its first store in Winnipeg, Canada, home to over 70,000 Filipinos last December 15. The inagural location was chosen because Winnipeg is home away from home for a lot of our countrymen, with Tagalog being the second-most common mother tongue language spoken. In typical Jollibee fashion, the store was welcomed by long cues with people lining up as early as 10:30 PM the night before. The crowd braved the -25 celsius weather to get a chance to taste a bit of home with Jollibee favorites Jolly Crispy Chicken, Peach Mango Pie, and Jolly Spaghetti. The store is the beginning of Jollibee’s aggressive North American expansion plans that is lined up until 2018. The store also created over 100 jobs for the people of Manitoba. 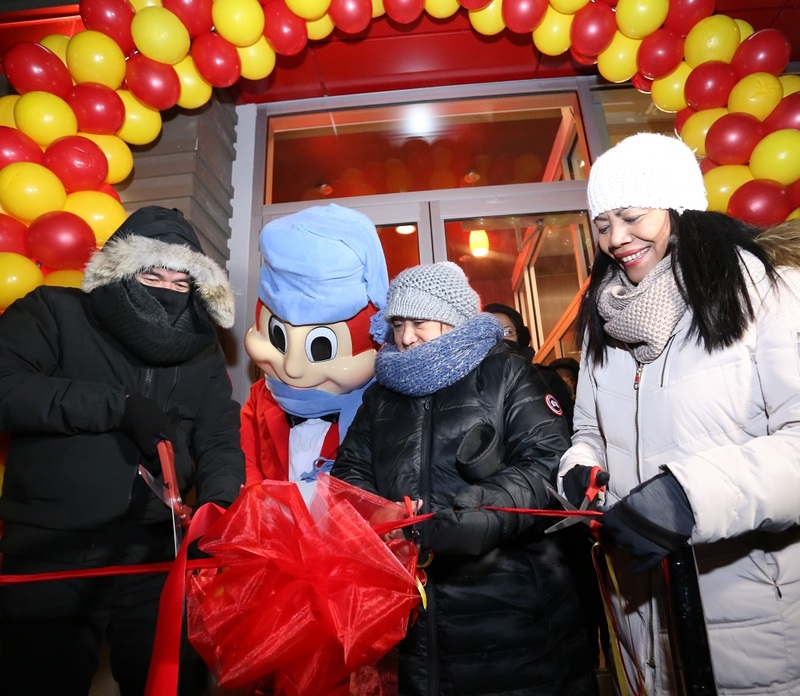 Braving the sub-zero weather, Jose Miñana leads the ribbon cutting ceremony along with VP and General Manager of Jollibee North America Maribeth dela Cruz and Operations Director Mackey Dimaculangan. 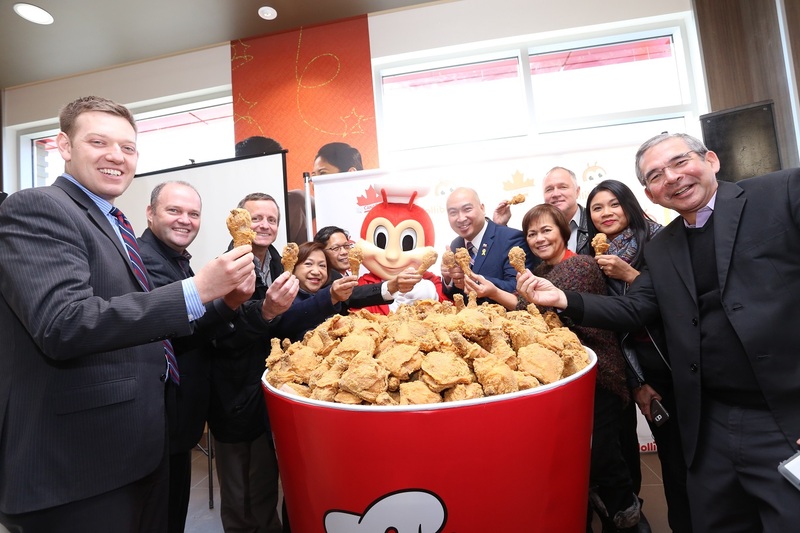 This marks the first Jollibee store opening in Canada and the 35th in North America. 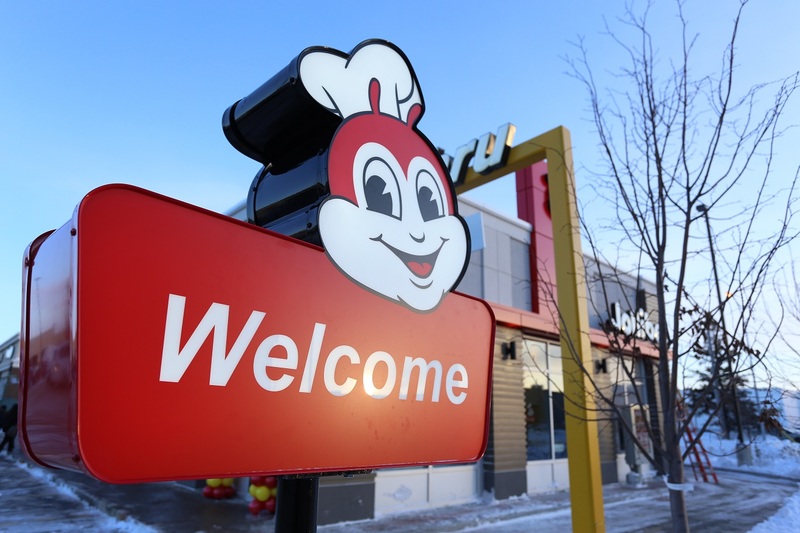 In 2017, Jollibee plans to open three more stores in Canada, including one in Winnipeg. 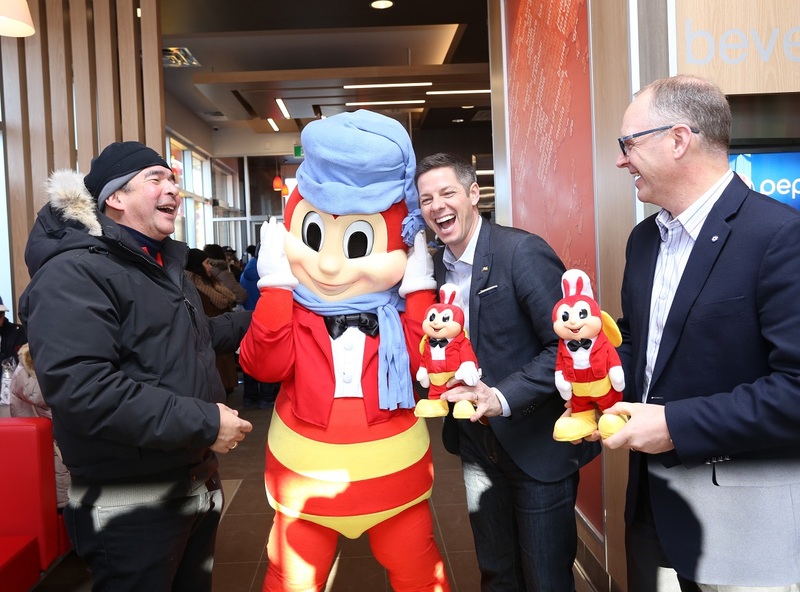 Winnipeg City Mayor Brian Bowman (middle), and City Councilor Scott Gillingham of St. James ward (right) share hearty laughter with Jose Miñana (left) and the Jollibee mascot as they receive exclusive Jollibee dolls to commemorate the occasion.